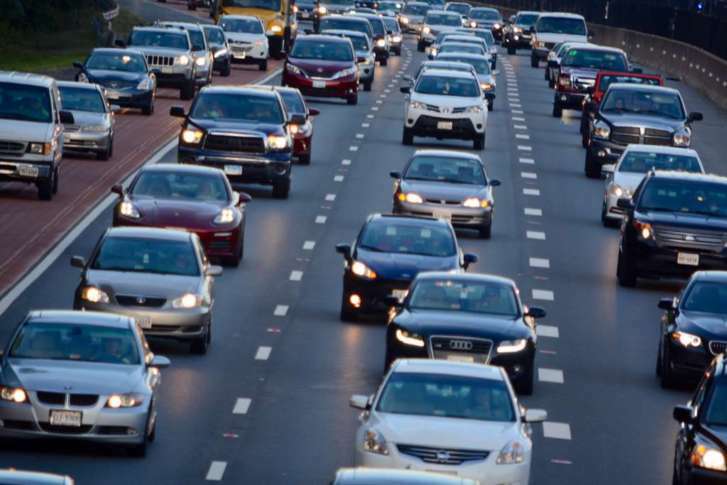 WASHINGTON — Millions of Americans are getting ready to hit the road for the Thanksgiving holiday next week, and researchers are using hard data to show drivers when traffic congestion is likely to be at its worst. According to researchers with Google Maps, wherever you are in the United States, the busiest time for drivers will be next Wednesday in the afternoon hours. In the D.C. area, the worst time to head out is expected to be 3 p.m. Wednesday. Google Maps, which has a billion monthly users globally, released the data Tuesday after researching the total number of cars on the road during previous Thanksgiving travel seasons. “Conditions will vary,” Dildine warned, adding that rain could change everything. Then, following the holiday, the best time for drivers to head home is expected to be at 6 a.m. Sunday. Researchers said the worst time to leave will be 4 p.m. on Saturday. “The best time to get away is always the least convenient time — in the middle of the night or early in the morning,” said Dildine. Whenever you decide to travel, things are sure to be more expensive. “Compared to the first half of November last year, gas prices this November are on average 39 cents more expensive,” said AAA spokeswoman Jeanette Casselano.